Change can be this beautiful, and this easy with Marquee<sup></sup> Interior, Behr's most advanced paint and primer, ever. With one-coat hide guaranteed (in over 1,000 colours), you can show your true colours in less time and with less paint. Marquee<sup></sup> Interior paint also provides superior stain resistance and an easy-clean, durable finish, so your space will stay looking fresh year after year - or until you feel like changing it up. Glidden EP1C eggshell interior 100% acrylic paint with primer provides exceptional durability and outstanding stain resistance that protects and beautifies your bedrooms, hallways, and family rooms. Glidden EP1C is a Zero VOC, Low Odour paint with primer that offers excellent hide and coverage alongside outstanding scrubbability and washability-all backed by a Satisfaction Guarantee. Glidden EP1C can be tinted into a select palette of 400 one coat guaranteed colours, more than 1,100 Glidden colours and has been specifically designed for durable, long-lasting results, often for less than other leading brands. For more than 140 years, painters have trusted Glidden and Glidden paints to help them turn inspiration into action to add colour to their lives and Glidden EP1C delivers on this tradition with a epic durability and beautiful finish at an exceptional value. Colourants added to this base paint may increase VOC level significantly depending on colour choice. 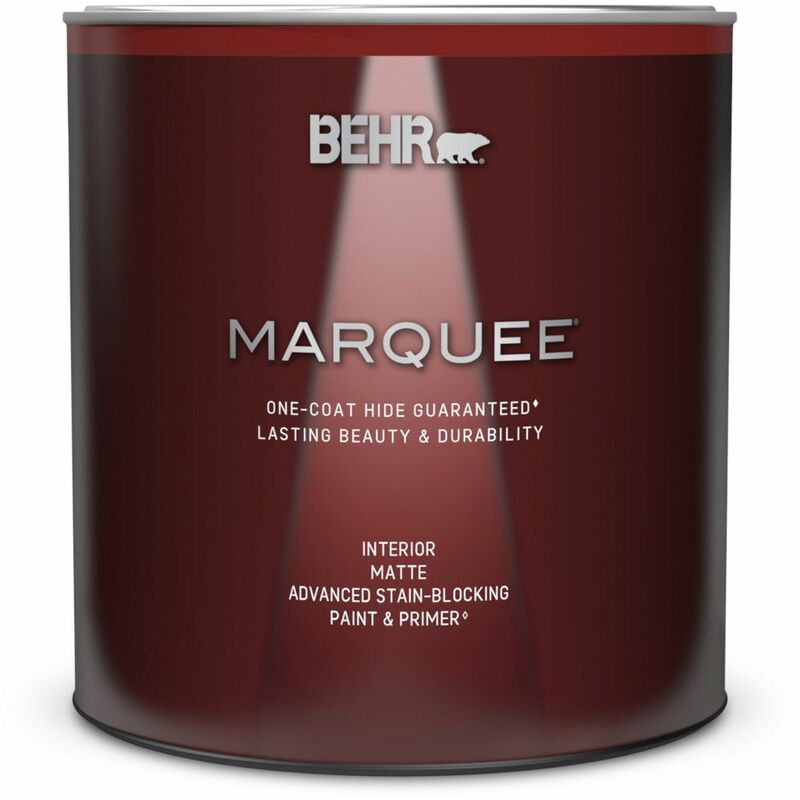 Marquee 939 mL Medium Base Matte Interior Paint with Primer Change can be this beautiful, and this easy with Marquee<sup></sup> Interior, Behr's most advanced paint and primer, ever. With one-coat hide guaranteed (in over 1,000 colours), you can show your true colours in less time and with less paint. Marquee<sup></sup> Interior paint also provides superior stain resistance and an easy-clean, durable finish, so your space will stay looking fresh year after year - or until you feel like changing it up. Marquee 939 mL Medium Base Matte Interior Paint with Primer is rated 4.7 out of 5 by 402. Rated 5 out of 5 by Bill049 from Excellent coverage Used in a typical 2 coat situation and was very satisfied with the coverage.